Are you ready to Bridge the Gap Between you and YOU? Do you long to be Spirit-Fed and Spirit- Led and crave a deeper, more consistent connection? Do you want your JOY back because you know deep down to your core that life is not supposed to be so hard? Are you feeling disconnected from yourself and you don't recognize the woman staring back at you? Are you ready to move through your Grief? Are you craving connection - to yourself, others of like mind, a strong desire to belong? Are you tired of subjugating your own needs and desires and ready to make yourself your Number One Priority? Would you love to live a life in Alignment with Joy? Would you love to live your life with an abundance of Laughter and Possibility? You know down to the very core of your being that life is not supposed to be so hard and you need a mentor who will guide you to tap into your own divine wisdom and provide practical tools to help you leverage the Laws of the Universe to bring your vision for your life into reality above and beyond your wildest dreams! You are tired of feeling stuck, of feeling like you’re spinning your wheels and getting nowhere, of holding on to issues of the past, of not giving yourself the permission to feel your grief fully and you’re ready for a mentor who can help you to make peace with what has been and what is, strengthen your mindset, get you off the merry-go-round you’ve created, and become the magnet for all that you need to support you in creating your most magnificent life. You are ready to let go of perfection paralysis, procrastination, people pleasing, and overwhelm and embrace your Divine Feminine nature. 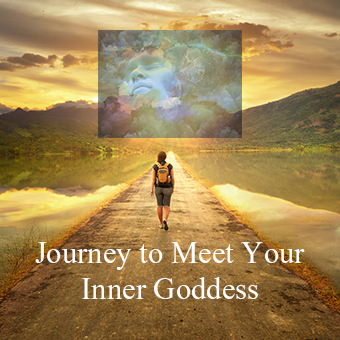 You are ready to be guided to see who you truly are down to the core of your being so that you ignite the fire within you, tune into your divine magnificence, smash the barriers and beliefs that have been holding you back and gain the clarity to fully embrace the Goddess you are and the Goddess Life you are meant to live! I can show you how Divine Feminine Mentoring can help you to re-discover the joy and magic in your life!